Note--new USGS livestream at main crater is at the far bottom of this post. Steaming away across the entire throat of the crater. The first 2 quakes of this "volley" started far off shore and relatively deep. This likely disturbed the prior debris from the last Hilina Slump "slump off". THIS IS THE KEY POINT....the prior debris field that was stabilizing things, is disturbed and weakened. Geologists prior to this were claiming that the prior slump will prevent <link> or slow down another big Slump. Sure, unless of course some big EQ destabilizes the debris field and "re-liquifies" the rubble. Which is exactly what happened. I called for an even larger EQ--- I was convinced enough that I alerted the authorities by phone. 3) and a slip plain of pressurized lubrication makes it like the Slump is floated up by hot magma. Damage reports have yet to come in, but this will likely spur greater fountains and flows. This flow is already bigger than anything in 200 years, and regular people hear that "things are slowing down". MSM at it's "best". 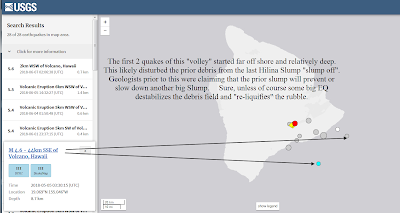 100,000 years between big slumps…but even recently…..
An earthquake on April 2, 1868, rocked the southeast coast of Hawaii with a magnitude estimated between 7.25 and 7.75. It triggered a landslide on the slopes of the Mauna Loa volcano, five miles (8 km) north of Pahala, killing 31 people. A tsunami claimed 46 additional lives. 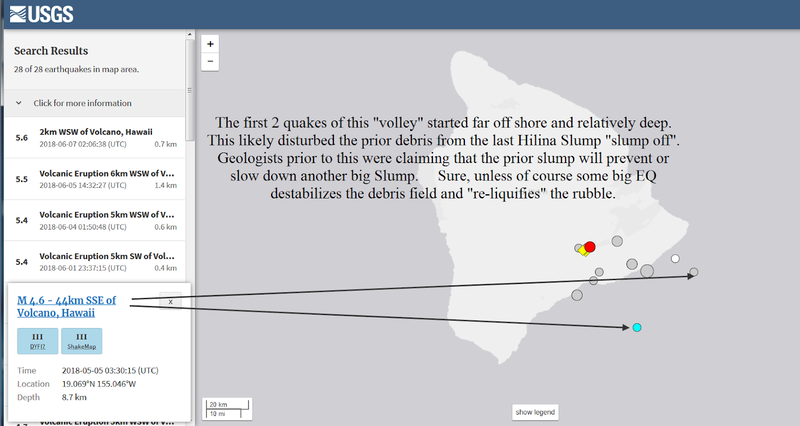 The villages of Punaluʻu, Ninole, Kawaa, Honuapo, and Keauhou Landing were severely damaged. According to one account, the tsunami "rolled in over the tops of the coconut trees, probably 60 feet (20 m) high ... inland a distance of a quarter of a mile in some places, taking out to sea when it returned, houses, men, women, and almost everything movable." A similar earthquake occurred November 29, 1975, with a magnitude of 7.2. A 40-mile (60 km) wide section of the Hilina Slump slid 11 feet (3 m) into the ocean, widening the crack by 26 ft (8 m). 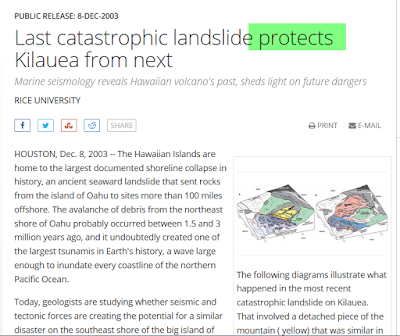 This movement also caused a tsunami that reached a maximum height of 47.0 feet (14.3 m) at Keauhou Landing. Oceanfront properties were washed off their foundations in Punaluʻu. Two deaths were reported at Halape, and 19 other persons were injured. 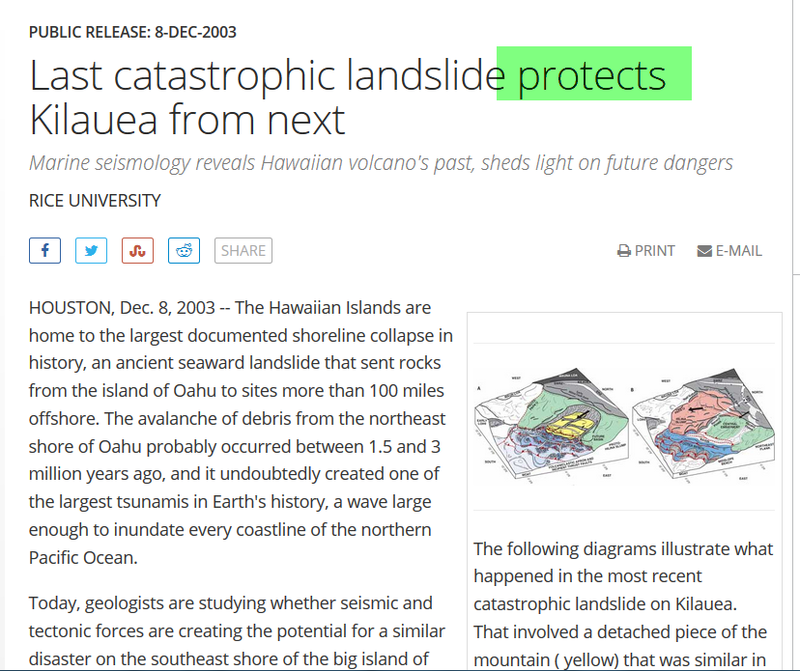 The shoreline at Keauhou Bay was dramatically altered.